While searching for the origin of these beautiful photos, we came across Gina's Etsy shop, Black Unicorn. 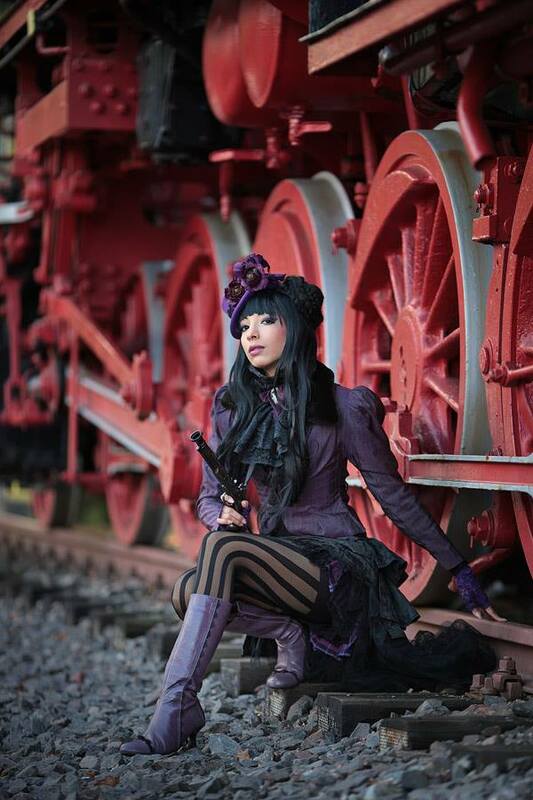 She creates gorgeous fantasy headdresses, hats, wings, jewelry and other costume pieces with plenty of Steampunk options. It's definitely worth checking out, especially if you're planning any kind of ethereal/fantasy photo shoot.